Much of the money lost by municipalities to the VBS Mutual Bank scandal was intended for service delivery, Minister of Cooperative Governance and Traditional Affairs Zweli Mkhize told Parliament’s National Assembly on Wednesday - vowing that the public servants responsible would face the consequences of their actions. 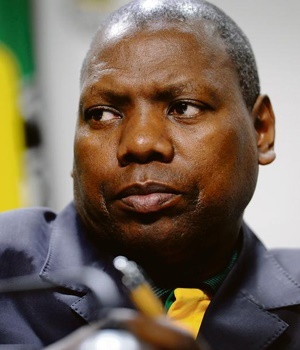 During a question and answer plenary on Wednesday afternoon, Mkhize told Members of Parliament that the Department of Cooperative Governance and Traditional Affairs was in regular contact with the South African Reserve Bank (SARB) over the bank’s curatorship. The curatorship process was announced by the SARB in March, after a report in the City Press that the mutual bank was facing a liquidity crisis. This followed Treasury instructing municipalities to stop investing with the bank. A number of councils withdrew more than R1bn from the bank after Treasury gave the order early last year. The curatorship has left the management of VBS Mutual Bank in the care of auditing firm SizweNtsabulaGobodo. Mkhize told the National Assembly that his department would not allow the losses of council’s funds to hamper service delivery for the residents of affected municipalities. "It is important to say that we have sought answers from some municipalities on why they acted in the way they did and, frankly, many of their answers are not satisfactory. "Some said they were legally advised that their actions were above board," said Mkhize. Responding to a question from Democratic Alliance MP Kevin Mileham, Mkhize said government would not be hasty in subjecting municipal officials to a witch hunt before investigations were concluded, or without evidence. "We need to ensure that this is addressed without trying to remove representatives before having a solid case against them. "As it is now, many of the people that were involved in the VBS debacle are no longer serving. We encourage the investigations to continue," Mkhize said. READ: DA calls political VBS rescue plans "an attempt to keep looting"
Mkhize said while the wheels of justice were grinding slowly, he was confident that those who put public finances at risk would face the consequences. "Anyone responsible for the VBS debacle will be charged and held accountable. SARB asked us to wait for their processes to continue, as that is how they will ascertain who is supposed to be charged. But I am confident that no one can escape and no one will escape," he said. Municipalities were working to minimise the impact of the missing money, he added. "Large sums of the money that found its way into the VBS accounts was intended for service delivery [sic]. "We have asked the affected municipalities re-adjust their budgets to account for this and engage the communities to explain to them what has happened and how it will be addressed," Mkhize said.